TUF-LINE DOMIN8 takes precision angling to a new level. Utilizing their new TUF-X fiber, this premium 8-carrier braid is the best choice for superior handling. DOMIN8 delivers a round, ultra-smooth finish, making it virtually silent through the rod guides resulting in incredible casting distance. Their proprietary coating process provides superior abrasion resistance and a more permanent coloration of the line. 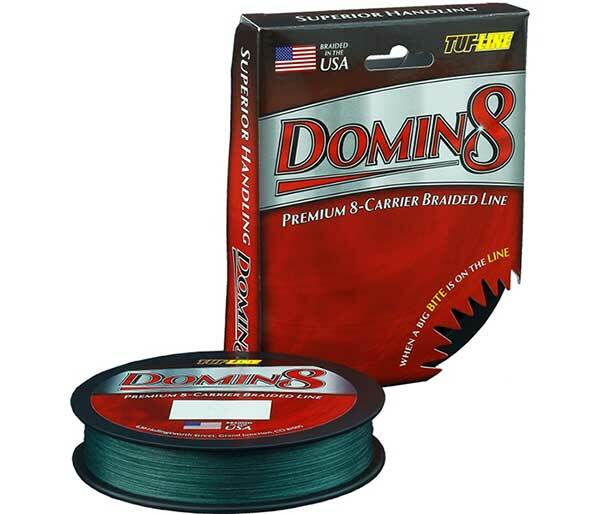 DOMIN8 is the perfect choice for all cast-and-retrieve applications on both spinning and casting reels. So when a big bite is on the line...choose DOMIN8.